Sarah and Shola, two identical twin sisters, each got a chocolate cake for their birthday on the 23rd of July. Sarah, being a spontaneous, self-confessed chocolate junkie, dug in with gusto, cramming chunks of chocolate cake into her mouth with both hands. Halfway through, she remembered that she would have loved to share the cake with her boyfriend and the rest of her family. However, most of it had already disappeared down her throat and, judging from the way she rushed into the toilet a few minutes later, it was intent on coming back up again. She has our sympathies … what a waste of cake …. How did Shola fare? Being the more methodical twin, she divided her cake into four equal parts. The first quarter she wrapped in foil and kept for another day. The second quarter she wrapped for her colleagues at work. The third quarter went to her friends in church and the last quarter was shared with her family at home. We all deplore Sarah’s conduct and admire Shola’s restraint. However, how many of us treat our salary – that ‘chocolate cake’ that’s delivered to us every month like Sarah did? Feeling the weight of the fresh bank rolls in our pockets, we splurge on whatever catches our fancy, only to remember by the end of the second week, when we’re dangerously low on cash that we haven’t paid for our professional exams and our boyfriend’s birthday is next week. At the beginning of the year, you should list the major incomes and expenditures you expect that year. While you can’t tell whether you’re going to win the lottery or get robbed this year, you can reasonably estimate the cost of your wedding or the new car you want to buy. This should be matched to corresponding income sources, to reveal whether you will need to take a Personal Consumer Loan from your banker. With proper planning and restrained spending, the extra loan need not be a reality. Having outlined this year’s estimated cash flow, you can make a monthly breakdown of expenses. If you hold a steady job and are a regular salary earner, you can easily estimate your monthly take-home. If you’re self-employed, this might be harder, but not impossible. Simply divide last year’s earnings by 12 months and work with the estimate. Your monthly income should meet your operating expenses. Operating expenses are the ‘normal’ expenses that crop up in the course of your day-to-day living. If you can live within your means this way, you can reserve your bonuses for the capital expenses. Capital expenses are the assets you buy – your car, your house, jewelry for your spouse, your spouse (wink). These should be covered from your bonuses. The devil, as they say, is in the details. You need to exorcise your finances (Do I hear an Amen, somebody?) by keeping an inventory. Try this for the next month. Carefully note down in your notepad every single expense you make. That’s right, everything from bubble gum to the beauty salon to the alms you give to beggars. Compare your actual spending with the estimated expenditure in your budget for the month. Are you living within your budget? If you’re fortunate, you will find that your excesses on some items are balanced by savings on others. 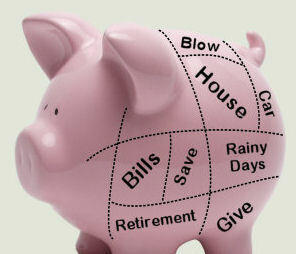 If you’re not, you’ll have to cut down on the areas where your expenditure exceeds the estimate. Try out these budgeting tips and living within your means will be a piece of cake. Amazing post, saved the blog with interest to read more information! lol!Isabella. NO be small thin! Good and insightful piece. I started the spending diary one time but never got to adding things up and then it's much harder these days of credit, overdraft and card payment. But you are right…I like the idea of planning a financial year…another idea is to plan a financial quarter right now to anticipate Christmas shopping! This is a wonderful piece….. You guys are at it again. great one. Keep the quality stuff coming….Y!